Summer is about to get even hotter (and tastier!) 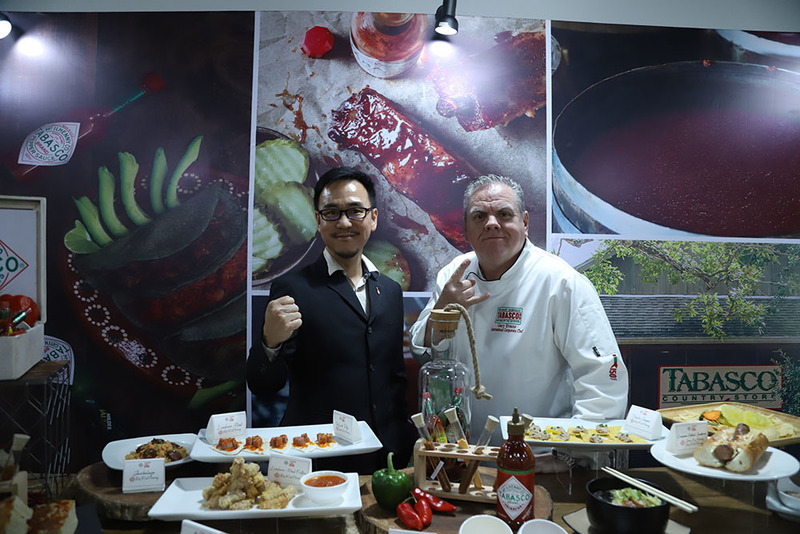 as Taste Setters brings Chef Gary Evans to the Philippines for a two-day workshop to discuss the Global Food Trends of 2019. The workshop was held at the Magsaysay Center for Hospitality and Culinary Arts Inc. in Mandaluyong and was attended by representatives from the manufacturing, restaurant, catering and hotel industry as well as several guests from the media. 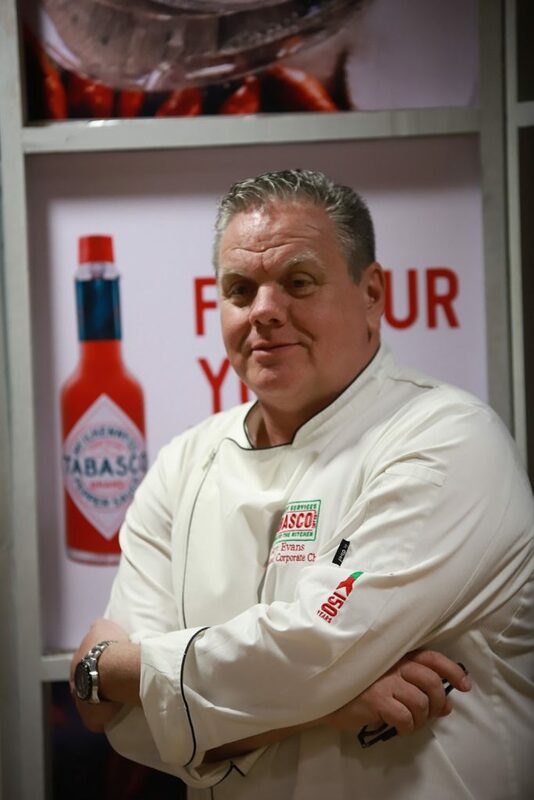 Chef Gary Evans is the International Corporate Chef of TABASCO Brand. 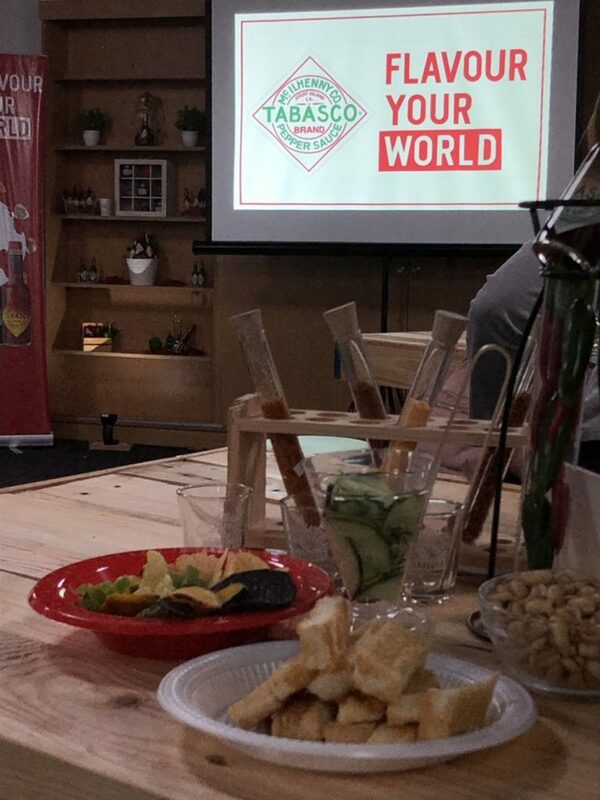 He has been with the company for the past 16 years and travels all over the world to teach students, chefs and restaurateurs about the versatility of Tabasco and show them unlimited possibilities of TABASCO® sauce in cooking–from appetizers and mains to even drinks and desserts! Chef Gary started cooking at a young age when he would prepare food for his siblings. “I’ve always loved cooking. I probably started cooking about nine or ten years old. I always knew. I always knew that I wanted to be a chef. I don’t know why, but it’s something I just sort of knew,” he recalled. Chef Gary said he would eventually discover the versatility of TABASCO, describing it just like salt or pepper—something that helps to bring out the flavor of the ingredients. Since then Chef Gary says he’s used TABASCO for pretty much everything–from ice cream to marinated onions and at the moment, he loves playing with it for desserts. “It really works. Tabasco, chili and chocolate is as old as time and it’s not just chocolate. He says it also works well on high fat products like fruit cream-based products. In one of his recent workshops they even used Tabasco in making coffee banoffee cheesecake. “TABASCO is what I call a true 360-ingredient. It’s great as a condiment front-of-house, it’s great back-of-house used in recipes, and also it’s great behind a bar.” He adds that there are just as many drink recipes as there is food recipes with Tabasco. 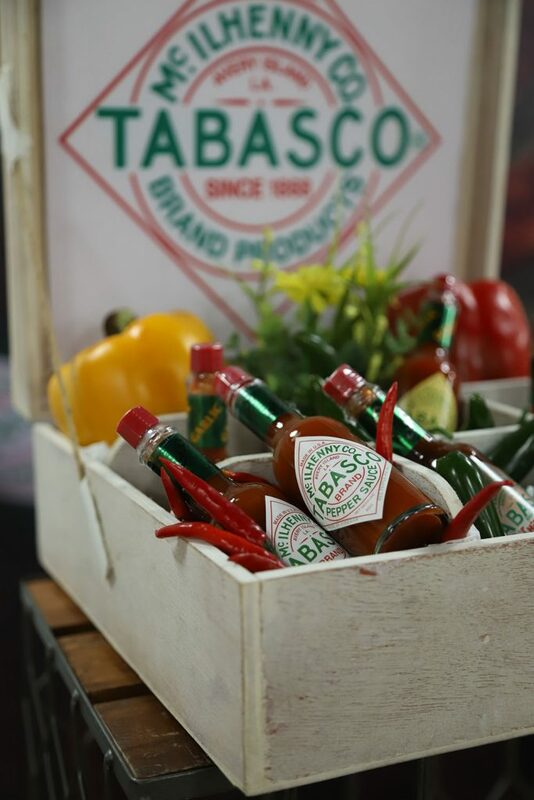 For those who love to keep things hot, you probably have a bottle of Tabasco always ready in the kitchen. TABASCO® Sauce is one of the few kitchen staples that has lasted the test of time tracing its origins all the way back from 1868. 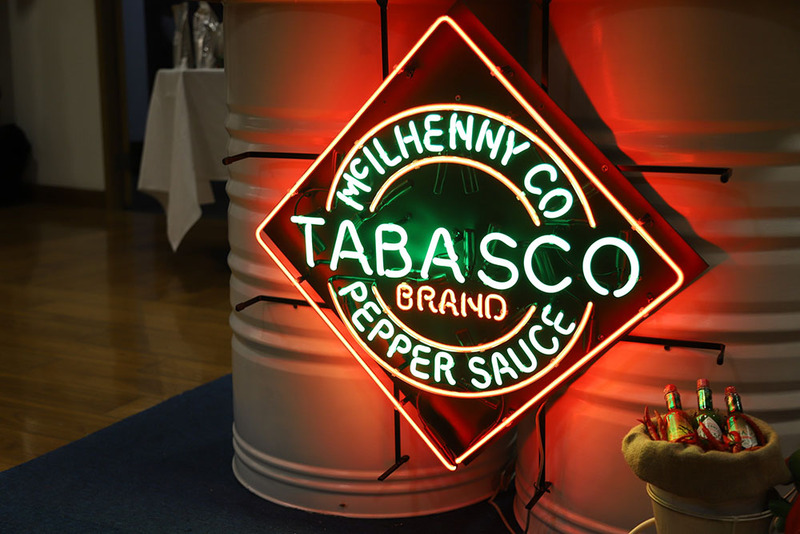 Created by Edmund McIlhenny at Avery Island, Louisiana, TABASCO® has always been a family affair now up to its sixth generation. A large number of family members live and work on the island, picking the plants and taste-testing every barrel to ensure TABASCO® Sauce continues to live up to its reputation. The process of making the hot sauce takes quite long, undergoing years of fermentation before coming close to bottle-form. TABASCO® sauce is made from all-natural ingredients like hand-picked chillies, a pinch of salt and a splash of fine vinegar. The chillies are mashed with salt on the day they’re harvested and then stored for up to three years in oak barrels. To ensure the typical TABASCO® aroma is developing nicely, they check the progress every day. Once the salted mash has been fermented, it’s filtered and vinegar is added. It’s then left to continue fermenting for another 28 days before it’s decanted into the inimitable TABASCO® bottles and shipped around the world. That way you can add just enough heat to your food without obliterating the flavor. So how do you use Tabasco? “I like to tell people to use it the same way you would use salt. Just like salt, when you add it to food and the cooking process, it takes on a different role. It’s almost like an umami effect and helps bring out the flavours of ingredients. It helps lift the dish without adding an overwhelming spice — you can put TABASCO® Sauce in anything and everything. “Flavour Your World” is the brand’s first global campaign in celebration of its 150th anniversary. As an ingredient or condiment TABASCO can make your food or drink taste better. By the drop, dash or splash TABASCO brand pepper sauces offer a variety of heat levels and flavor profiles for exploration and personalization, providing excitement whenever, wherever you are cooking, eating or drinking. Adding even more choices to its lineup is the new TABASCO SRIRACHA, a blend of authentic flavours unique to Southeast Asian cuisine. It’s flavored with oak barrel-aged tabasco peppers, with no preservatives, fat and gluten free, no food coloring or dyes and made with the Tabasco brand Original Red Sauce. It is the perfect complement to salads, rice bows, sushi, veggies, curries, stir fries or as a condiment to your favorite sandwiches. Organized by SySu International Inc., TasteSetters is a workshop series that celebrates the thriving food culture in the Philippines and put the spotlight on the country’s emerging food scene. Through the Tastesetters workshops, local culinary enthusiasts and food entrepreneurs get the chance to be front and center as new food and flavor trends emerge. It also seeks to provide a venue to discover new food trends and to challenge and thrill foodies as they discover new flavors during the workshop. SYSU International Inc., recognized as the home of some of the country’s biggest food brands is the force behind TasteSetters. By being part of Taste Setters, the attendees will gain the opportunity to be on the forefront in the introduction of emerging food trends which, in turn, positively impacts the country’s thriving food industry. This also provides an opportunity for aspiring food entrepreneurs and even established names in the food industry to work together and even opens a possible avenue for collaboration with SYSU’s roster of food brands. “Tastesetters brings together commissary owners and food entrepreneurs, research and development experts of food manufacturing companies, experienced chefs and business owners to be part of the workshop series,” notes Ailene De Mesa- R&D Head, Sysu International, Inc.